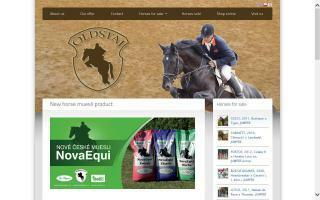 Europe Hunter Jumper Stables Directory - O Horse! Specialising in hunters, jumpers, and equitation horses up to Grand-Prix level. Quality European Warmblood Sporthorses. Also specialising in training rider and horse up to Grand-Prix level. Our company has been operating for more than 20 years in horse business (under a different name), and we have sold more than 1200 horses worldwide during this period. We specialize in purchasing, selling, exchanging and training mainly show-jumping horses, but we can offer eventers, dressage horses, hunters, ponies and hobby horses as well. You can choose among more than 70 mainly Belgian, Dutch, German and Czech horses of some of the best bloodlines at any time. These horses are waiting for you in our modern stables. We also provide a wide range of services related to horse riding, such as stabling, training, and horseshoeing. We can import or export horses for you, i.e. take care of the veterinary and customs documents. We sell the equipment for horses and riders in our shop, including the top horse feed TOPFIT. So if you are looking for a best horse for the best price, we are here for you!!! Horse riding in Costa Blanca (Alicante), Spain. Horse riding lessons (dressage and show jumping), livery stable, excursions & hacks, professional training of your horse, horse-sharing, vaulting, tournaments, Horses for sale, import and export of horses, and events. Reinie Tewis stands a.o. : Cavalier, Vainqueur, Vittorio, Upperville. Also jumping stable. Stock for sale. KWPN stallions with Holsteiner bloodlines out of extending mare lines. Hemmelhorst Sporthorses is situated in the Netherlands and is a training and trading stable of quality showjumpers. From brood mares and young stock to showjumpers at all levels. 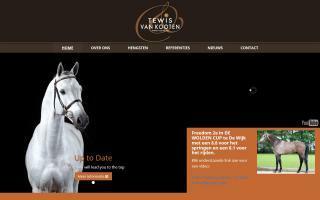 Please take a look at our website for all the information about our company and our sporthorses, including the newest videos. 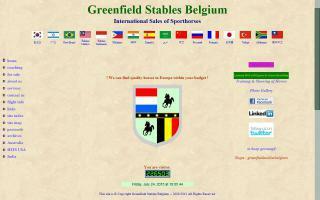 We offer a great selection of sport horses in Central Europe. Jumpers, huters, dressage, eventers in all levels. Amateurs or professionals, trainers and riders welcome. Horse transport available.